Salsa may refer to any type of sauce. In American English, it usually refers to the spicy, often tomato based, hot sauces typical of Hispanic cuisine, particularly those used as dips. In British English, the word typically refers to salsa cruda, which is common in Mexican, Spanish and Italian cuisine. Left: Some fresh pico de gallo salsa. The word salsa is derived from the Latin salsa ("salty"), from sal ("salt"). Saline and salad are related words. Salsa roja, "red sauce": used as a condiment in Mexican and Southwestern cuisine, and usually made with cooked tomatoes, chili peppers, onion, garlic, and fresh cilantro. 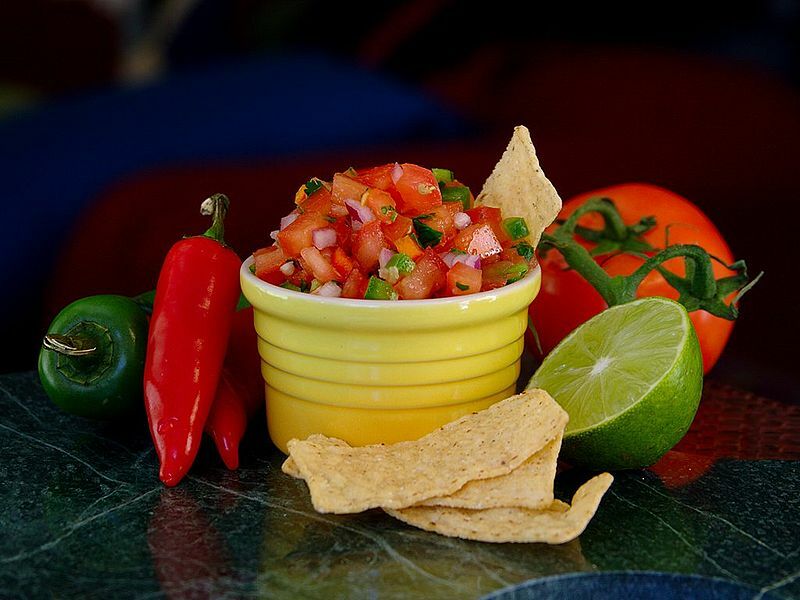 Salsa cruda ("raw sauce"), also known as pico de gallo ("rooster's beak"), salsa picada ("chopped sauce"), salsa mexicana ("Mexican sauce"), or salsa fresca ("fresh sauce"), "salsa bandera" ("flag sauce", in allusion to the Mexican flag): made with raw tomatoes, lime juice, chilli peppers, onions, cilantro leaves, and other coarsely chopped raw ingredients. 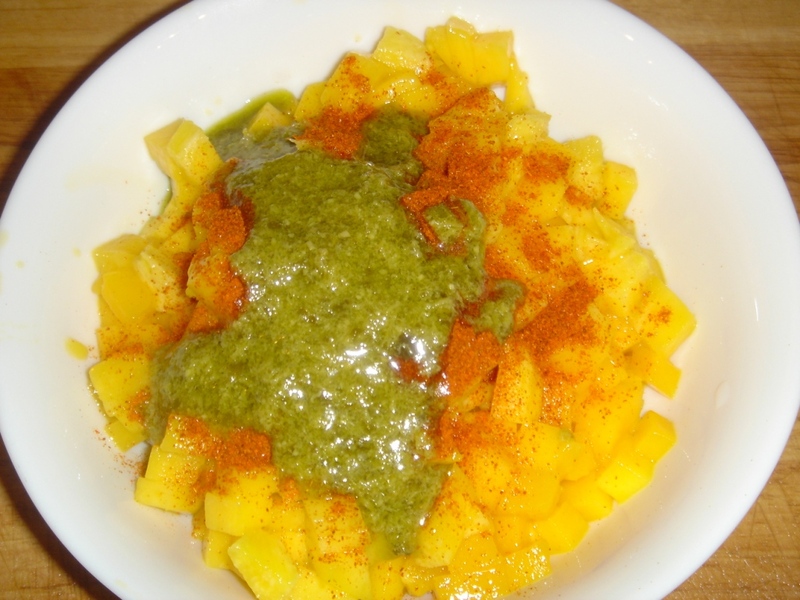 Salsa verde, "green sauce": Mexican version made with tomatillos. Sauces made with tomatillos are usually cooked. Italian version made with herbs. Salsa negra, "black sauce": a Mexican sauce made from dried chilis, oil, and garlic. Salsa taquera, "Taco sauce": Made with tomatillos and morita chili. 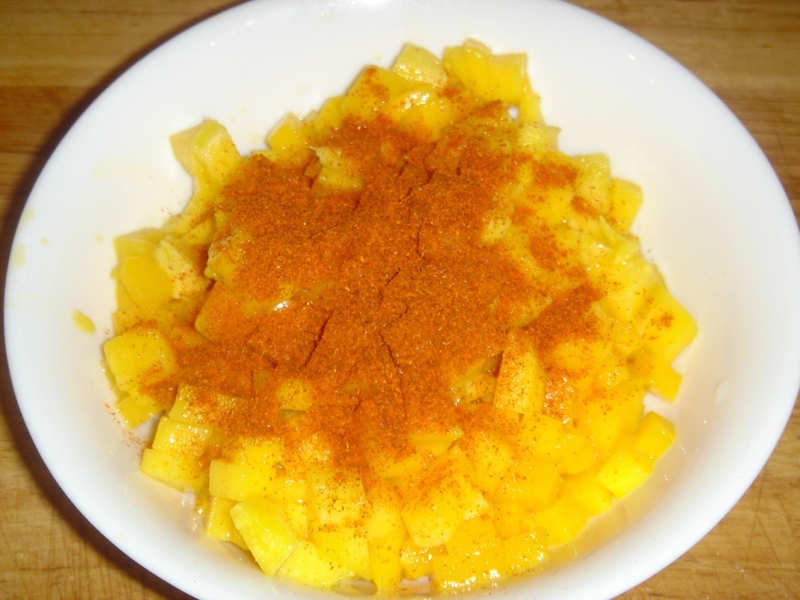 Salsa ranchera, "ranch-style sauce": made with tomatoes, various chilies, and spices. 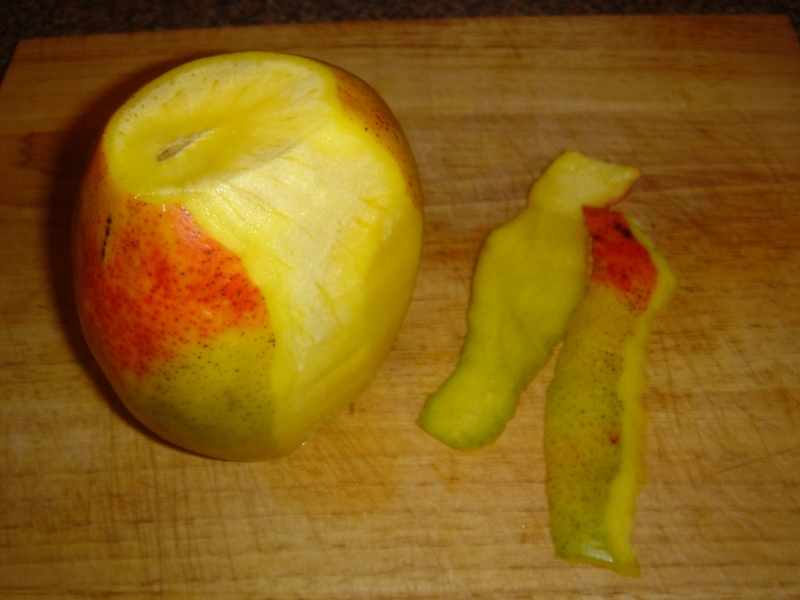 Typically served warm, it possesses a thick, soupy quality. Though it contains none, it imparts a characteristic flavor reminiscent of black pepper. 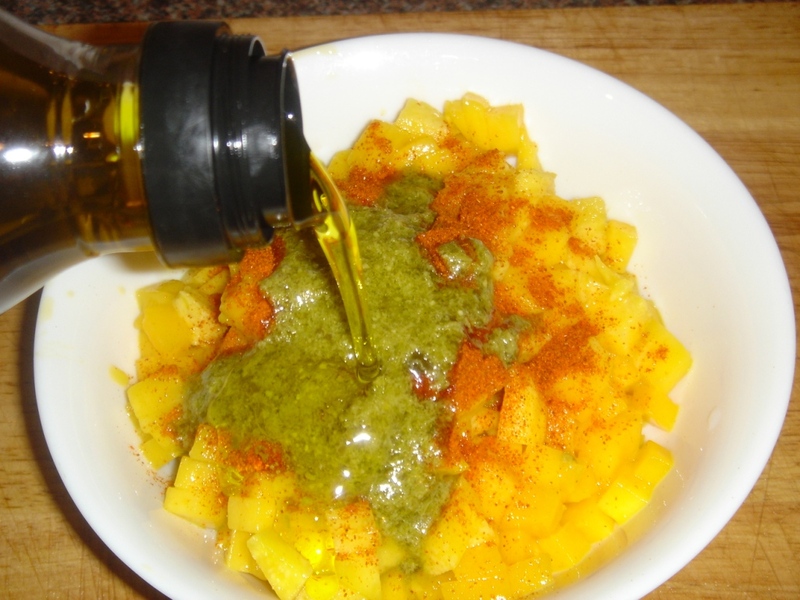 Salsa brava, "wild sauce": a mildly spicy sauce, often flavored with paprika. On top of potato wedges, it makes the dish patatas bravas, typical of tapas bars in Spain. Guacamole: thicker than a sauce and generally used as a dip, it refers to any sauce where the main ingredient is avocado. Mole: a Mexican sauce made from chili peppers mixed with spices, unsweetened chocolate, almonds, and other ingredients. 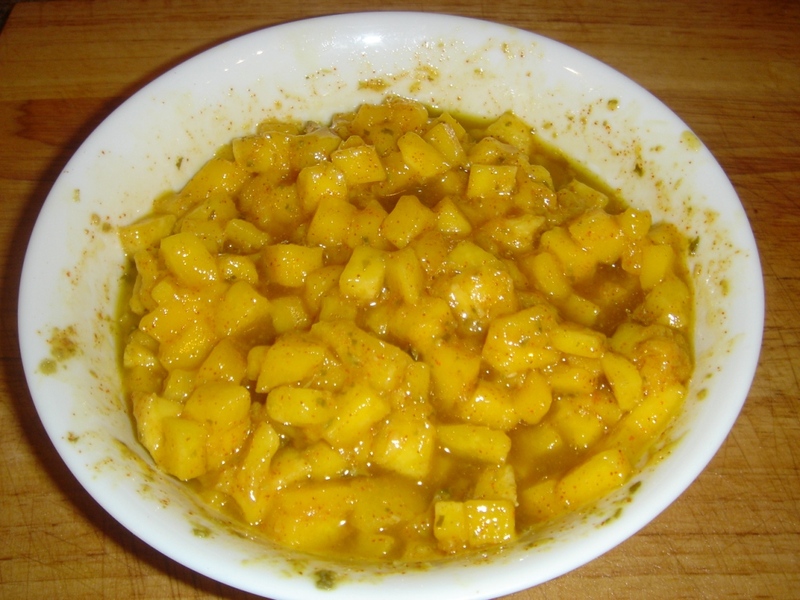 Mango Salsa: a spicy-sweet sauce made from mangoes and used as a topping for nachos. 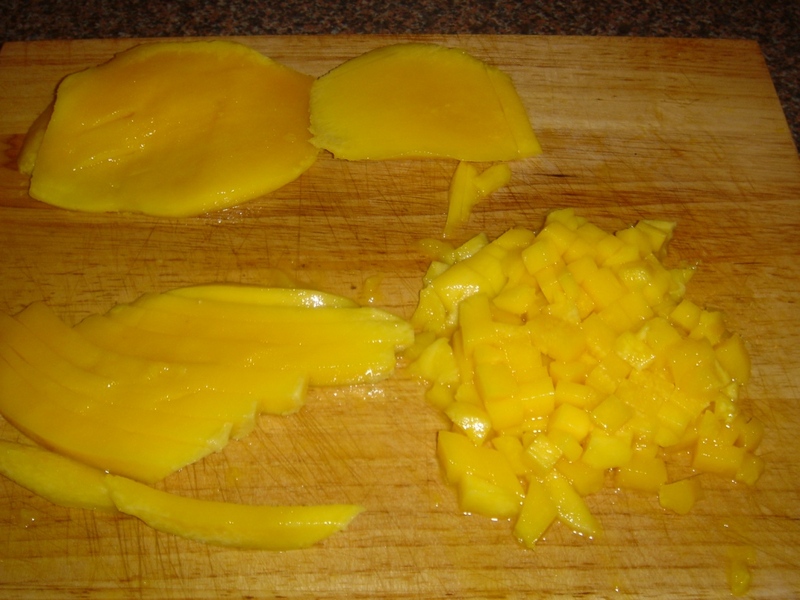 It is often also used as a garnish on grilled chicken or grilled fish due to the sauce's gamut of complementary flavors. 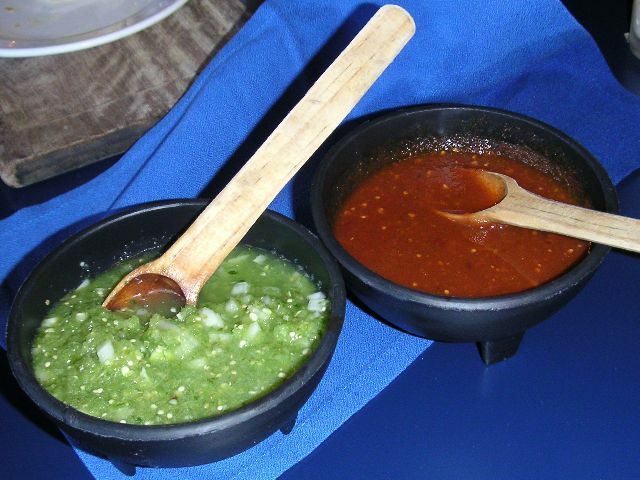 Left: Red and green Salsa.